As you approach your senior years in life, you probably have a long checklist of things to take care of and loose ends to tie up. Even though you probably have many good years ahead of you, it’s important to take care of certain matters while you are healthy enough to make such decisions. One matter on that checklist is whether or not to put your estate into a trust. Contrary to what you might think, you don’t have to be a millionaire with mansion to put your home and property into a trust. If your assets –real estate or business related- total $100,000 or more, a trust may be a beneficial way to pass on an inheritance to those you love. A trust allows you to dictate how your heirs will benefit from their inheritance after you’re gone. A trust will allow you to provide for your surviving spouse while still ensuring your children (if applicable) will benefit from your estate. Different types of trusts will allow you to maximize your estate-tax exemptions, so your surviving loved ones will receive a higher sum in their inheritance totals. Putting your estate into a trust will allow you to financially provide for a disabled loved one without preventing him or her from still qualifying for Medicaid or other financial assistance. A trust will allow you to determine exactly who (a trustee) will be in charge of your estate when you are no longer able to. A trust will allow you to avoid keeping your estate out of a probate court at the time of your passing. Without a trust established, all of your property must go through Probate before your relatives will have access to it. Putting your estate into a trust will protect your assets in the event creditors try to claim them, or potential lawsuits may threaten to take them away. Simply put, a revocable living trust works by removing your name as the possessor of any bank accounts or real estate, and instead placing them in the name of your trust. If you have life insurance policies or retirement accounts that you want included, then the trust will come the beneficiary of those as well. 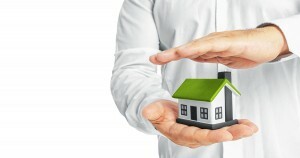 Because they are technically no longer yours once the trust is fully funded, they become protected from those entities that might have an interest in your property after your death. Once you die, then everything in your trust can pass immediately to the beneficiaries listed on your trust. Thinking about your end of life arrangements is a step you may not be ready to take yet. But, it is very important to be sure you make these types of decisions while you are healthy enough, physically, mentally and emotionally. The proper planning can make the entire process go more smoothly for your loved ones when the time does come. I have been helping families throughout Toledo and Northwest Ohio with their estate planning needs for several years now, and understand the sensitive nature of these types of decisions. I am dedicated to providing each of my clients with the care, compassion, and legal help they need during their estate planning process. My goal is to make these tough decisions a little easier.